Wiley X products cannot be shipped to European addresses. APO/FPO shipping is available. Wiley X is a leading provider of protective sunglasses and ballistic eyewear products for the U. S. Military, outdoor sports participants, and for the safety and shooting enthusiasts. Wiley X sunglasses are also the go-to choice for service members who require sunglasses that can provide both unsurpassed protection and all-day comfort. And while Wiley X sunglasses are the standard issue with the FBI, DEA, Army Rangers, Navy SEAL Teams, and Military Special Forces, their sleek designs and ANSI- and ballistic-safety ratings make them popular with civilians and weekend warriors as well. 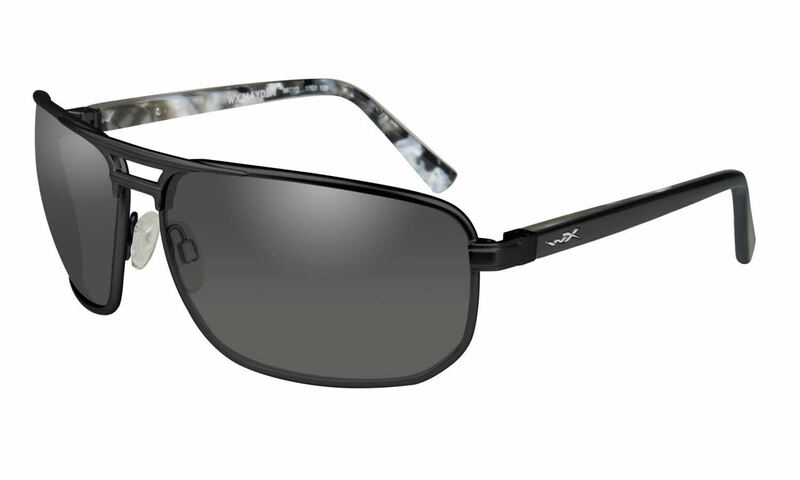 Wiley X WX Hayden is a Full Rim frame for Men and Women, which is made of Metal. This model features a Rectangular shape, with a Double Bridge. The Wiley X WX Hayden Sunglasses feature the following logo: WX on temple. Wiley X WX Hayden Sunglasses come with a cleaning cloth and protective carrying case.